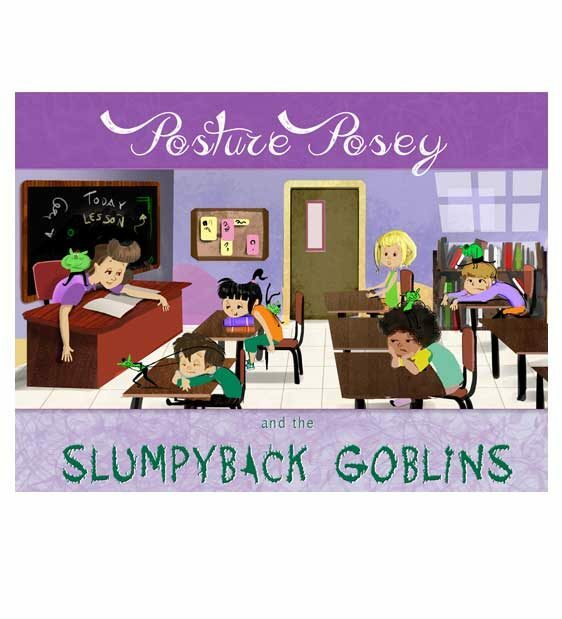 The Book Posture Posey and the Slumpyback Goblins is a fun, engaging way to get young children thinking about posture. Posture Posey and the Slumpyback Goblins is a fun, engaging way to get young children thinking about posture. Instead of nagging your child to sit up straight (which won’t help anyway), you can make them feel like a superhero as they chase the Slumpyback Goblins away. This exciting, action-packed book will hold your child’s attention and give them the tools to enjoy the many benefits of healthy posture. 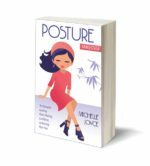 They will learn to recognize bad posture in themselves and others as they read about the wild adventures of Posture Posey. Posey is the only one who knows her town has been invaded by invisible goblins. These aren’t just any goblins, they’re Slumpybacks – the very worst kind of them all! They push and pull your body into terrible positions, making you slump and sag all day long. As the poor posture makes the whole town tired, achy, and sad, Posey realizes she has to act fast. Can she chase the goblins away before it’s too late? In addition to the story, there are several pages of bonus content designed to help parents and children learn more about healthy posture. There are photo montages and games designed to engage your child and to start a conversation about their own posture. There are also several practical tips for parents about how to promote good posture in fun ways that kids will love!